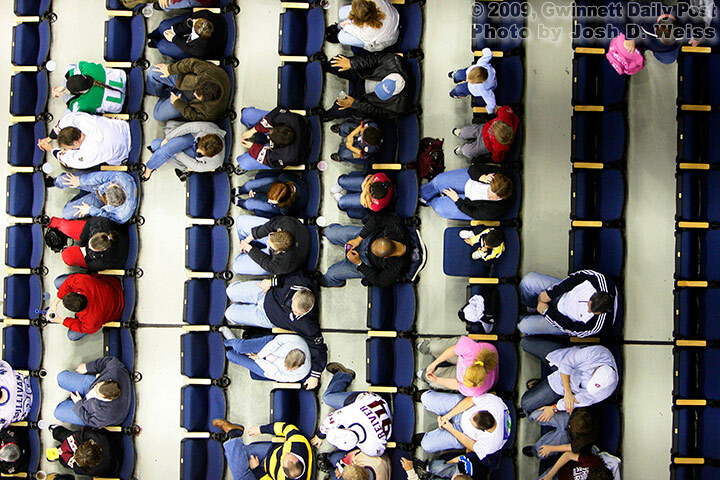 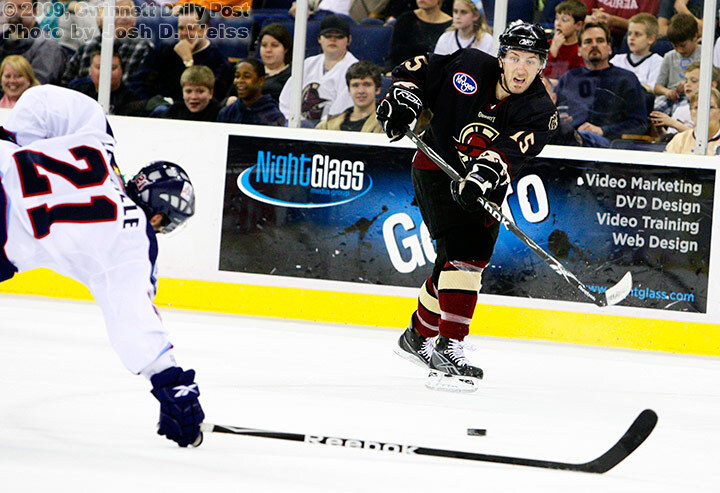 Yesterday I shot the Gwinnett Gladiators vs. Charlotte Checkers game at the Arena at Gwinnett Center. 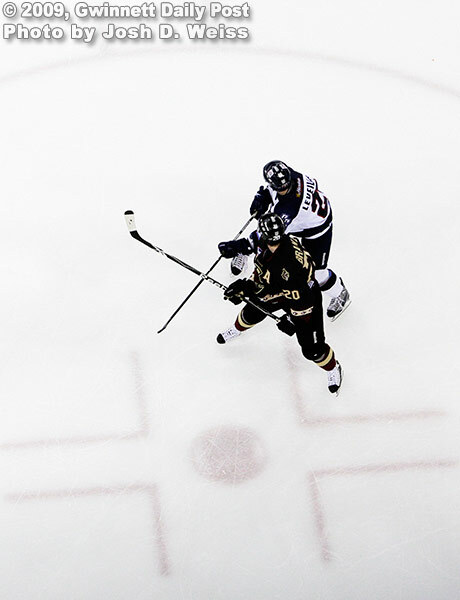 I used the first part of the game to try and get the more standard shots because you can run those in the paper and not have to worry about how large they will run since people know right away what they are looking at. 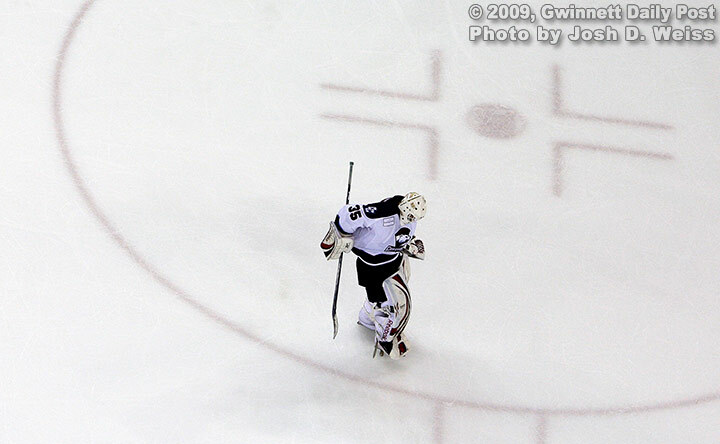 The second part of the game I went onto the catwalks that go over the ice because the writer said she wanted a file shot of the goalie and going right over him was probably the easiest way to get a good photo of him at work since no one would get in between him and my camera, of course unless a player learned how to fly. 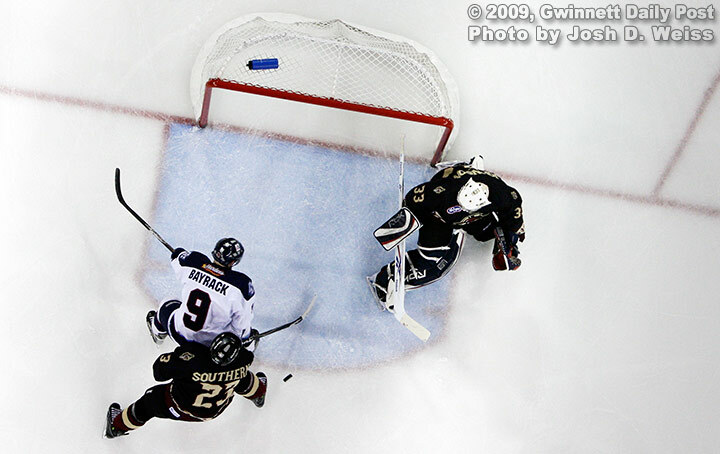 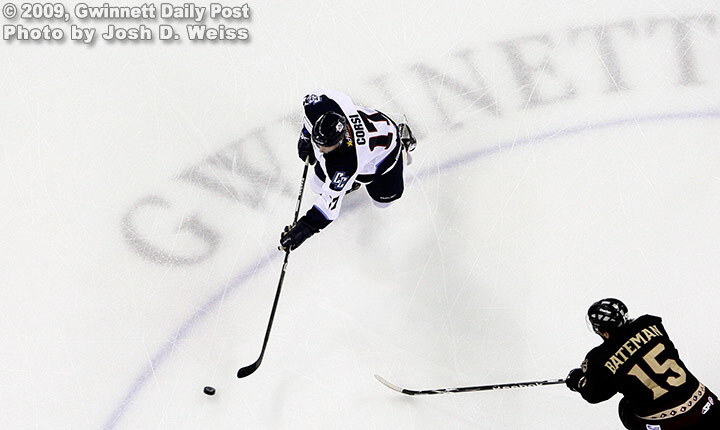 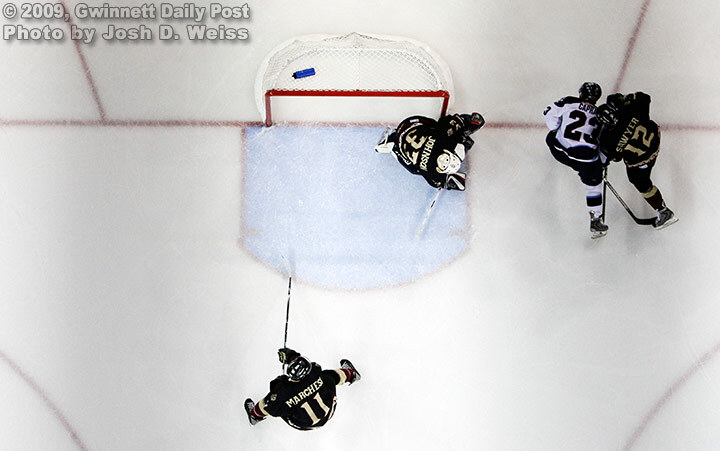 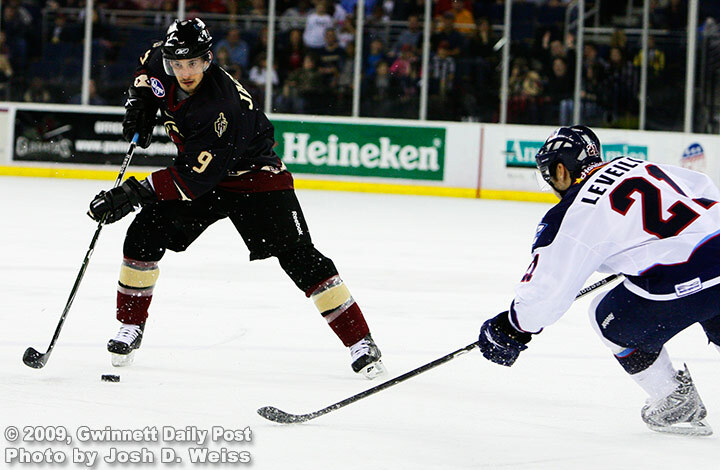 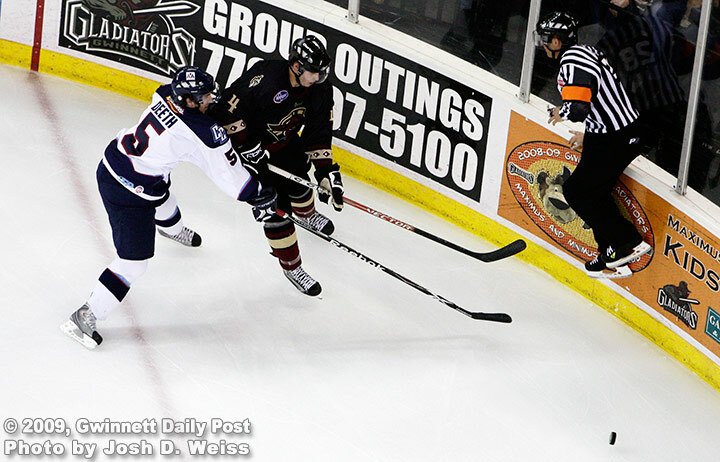 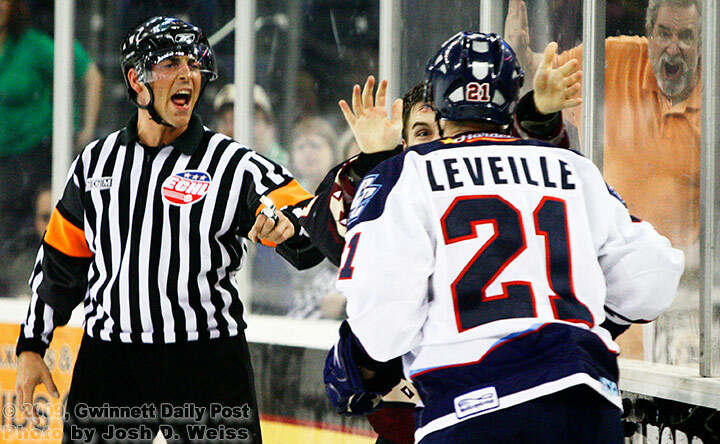 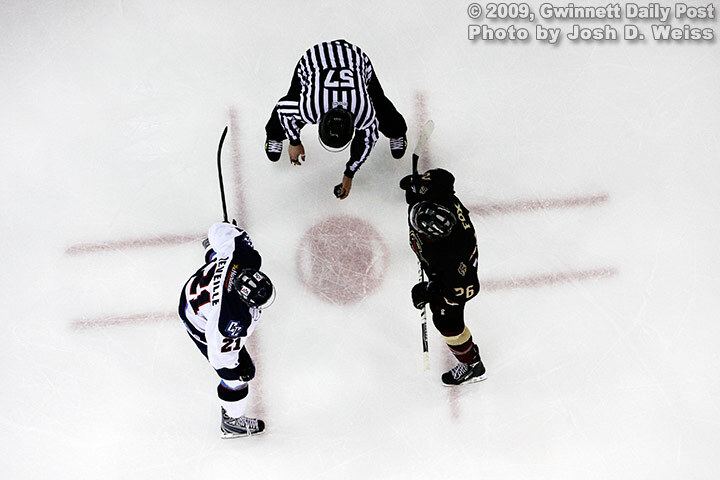 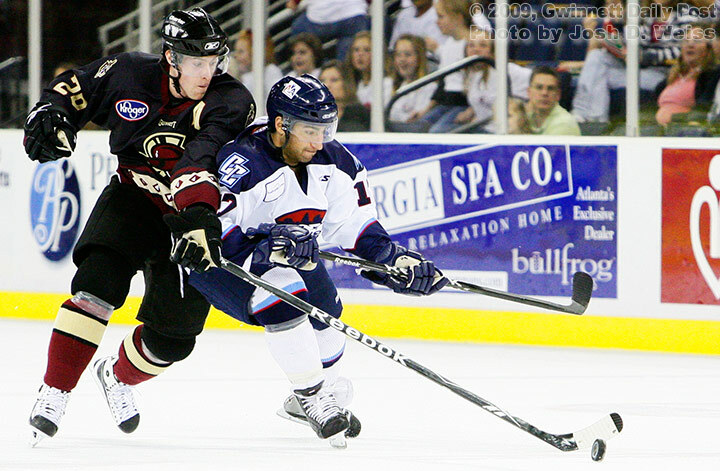 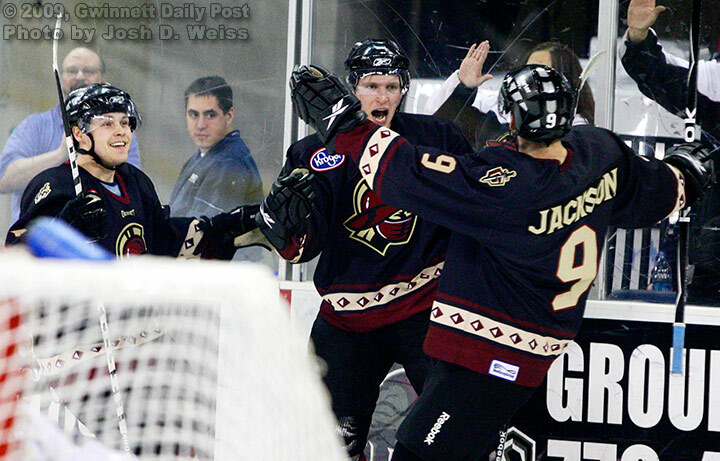 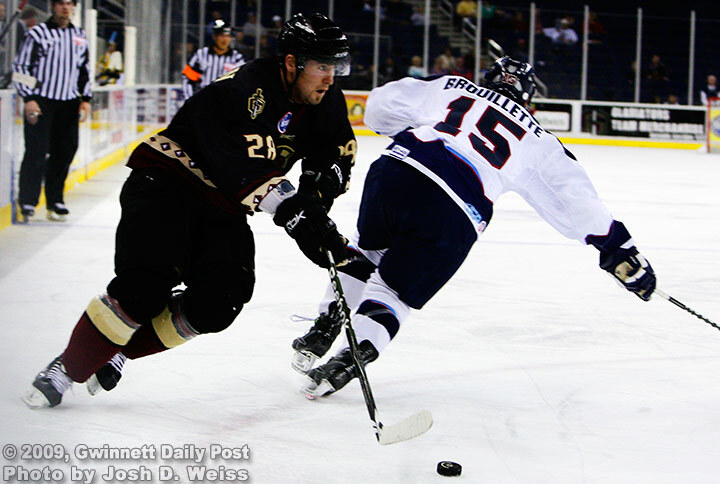 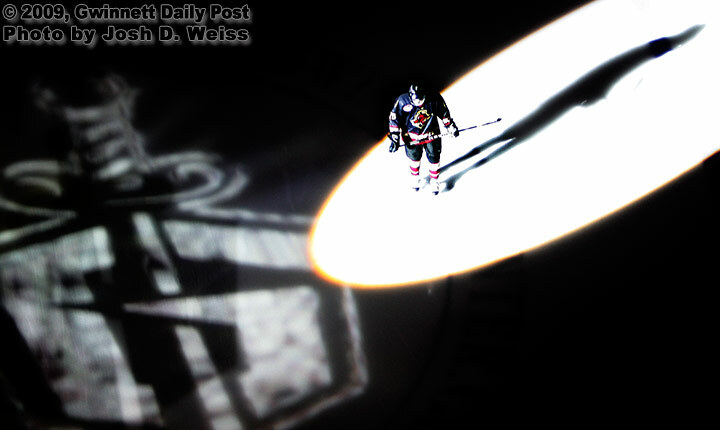 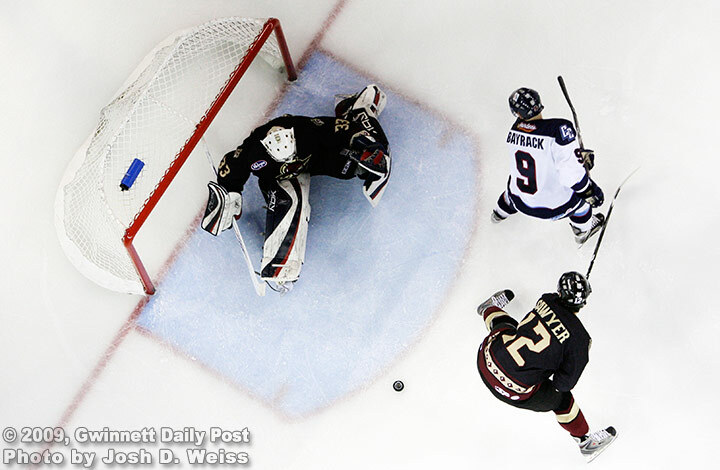 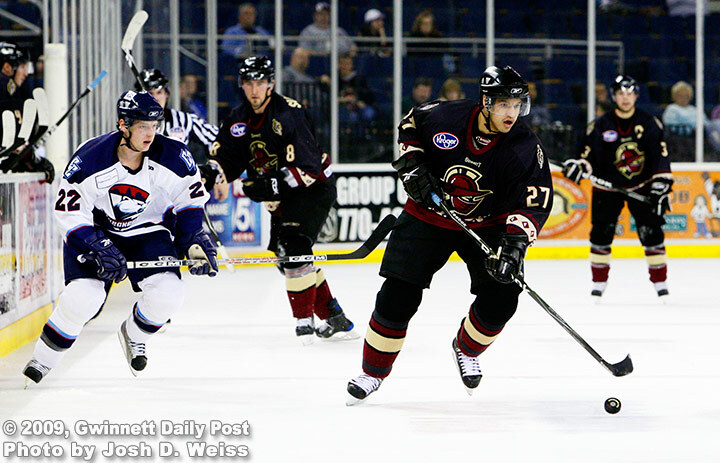 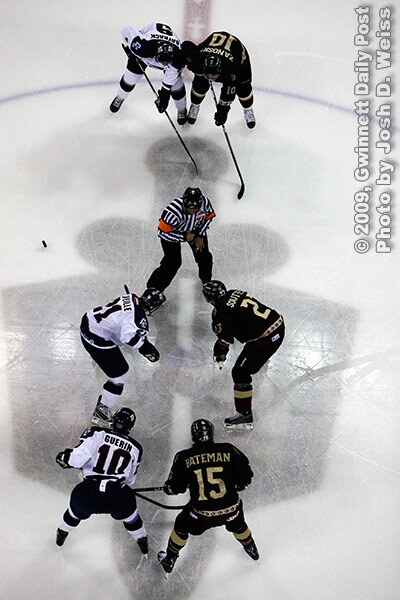 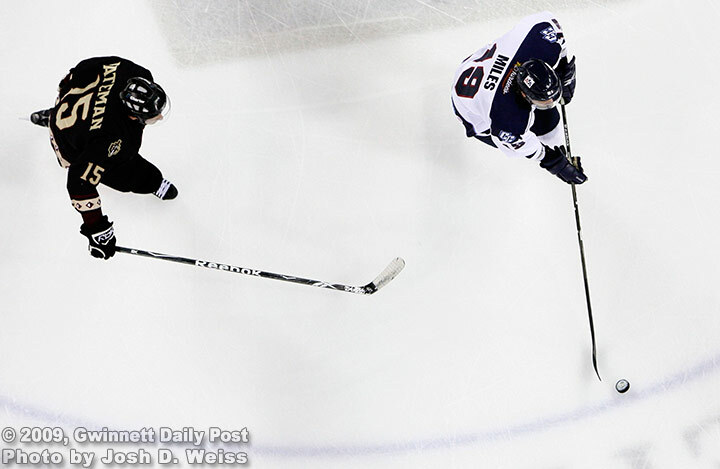 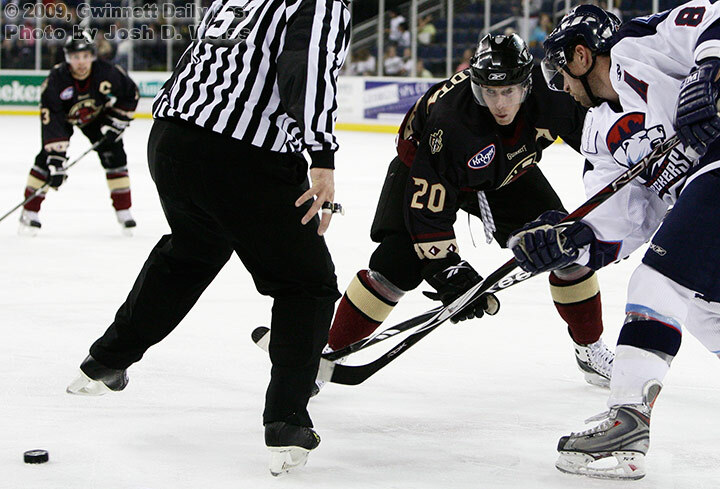 Posted in Gwinnett Daily Post, SportsTagged duluth, echl, georgia, gwinnett gladiators, hockeyBookmark the permalink.